Summers have arrived and every one wishes to have a glass full of cool drinks. Here are some cocktails made from fresh limes to refresh your senses. This is a Mojito mocktail which will require 5 minutes of preparation time. Crush the mint leaves with small amount of water sugar and lemon wedges in a glass or a bowl. You can use a wooden spoon or a blender for this process. This allows the flavours of mint and lemon to mix thoroughly along with sugar granules. Ones the mixture is done add Soda water or Sprite to the mixture, this will give the mocktail effect to our drink. 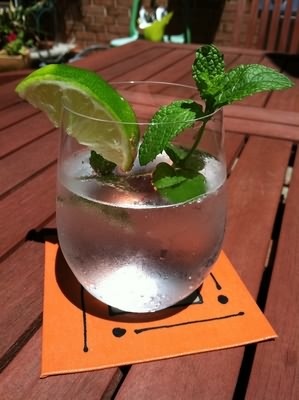 Garnish the glass with lemon on top and some fresh crushed mint leaves on top. Some of you might also think of adding small amount black salt in the mixture. At last add some ice cubes to bring it to the chilling below zero degree temperature. That is it our Virgin Mojito mocktail is ready to server. Filled with the freshness of lime and mint leaves, it is good for health and replenishes your body.